Now that Millennials, the children of the Baby Boomer generation, are entering the workforce in staggering numbers, companies are scrambling to understand how to attract, recruit, and retain them. By 2020, 46 percent of the workforce will be comprised of Millennials, so knowledge on how to please them is critical. In order to understand the job-hopping epidemic amongst Millennials, it first helps to understand their mindset. What do they strive for and value? What do they look for in a career? Are they gunning for my job? Millennials prioritize their lives differently than any generation before them. One survey showed Millennials rank “meaningful work” as a more important component than high pay, while 33 percent say “social media freedom” is a higher priority than salary. Money is not as important to this generation, as Millennials value freedom and the knowledge that the work they’re doing is making a difference. 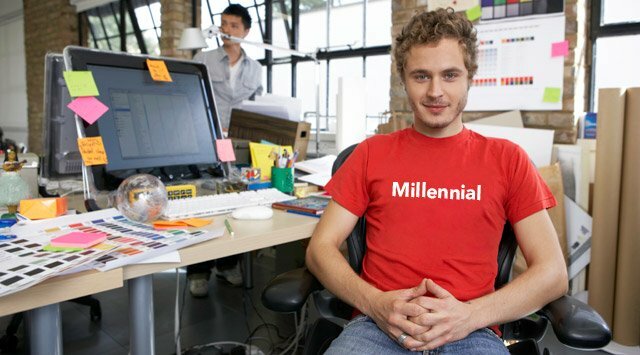 Additionally, Millennials are an extremely entrepreneurial generation; 30 percent of them actually started a business in college. It’s this fearlessness to take risks that causes Millennials to not think twice about job-hopping. Rather than being stuck in a job which they dislike, this new generation likes to create their own paths. Lastly, 91 percent of Millennials anticipate staying in a particular job for less than three years. A dwindling sense of workplace loyalty is pervasive amongst this entire generation, with 16 percent of Millennials saying they are extremely likely to consider a new job opportunity if they were approached by a recruiter, 18 percent saying they are very likely, and 38 percent saying they are somewhat likely. Workplace loyalty has been replaced by loyalty to one’s self. These statistics, along with others detailed in our new eBook, “Job-Hopping: The New Norm,” give greater insight into the motivation and goals of the generation that has become the obsession of talent acquisition departments everywhere. Download the eBook to learn more about what motivates Millennials to switch jobs, the employee-related initiatives they want their employers to focus on, and more.